4AD records, 7-Eleven, Blockbuster, Bob Jane, Brawsome, Cadbury, Columbia Pictures, Citylink, Clavia, Decca Music Group, Disney, DreamWorks, Gillette, Hungry Jack’s, Icon Productions, Infinite Interactive, Just Jeans, Kodak, Lisa Gerrard, Melbourne Aquarium, Melbourne Victory, Moccona, Mt Buller, Nintendo, Native Instruments, Optus, Powerade-Coca Cola, Pfizer, Pieter Bourke, Players West, Polinia Bookshop, Pulse, Rate Saver, Red Nose Day, Rodeo, Rhinocort, Royal Melbourne Hotel, Shell, Smithsonian Institution, Soma, Sony-Ericsson, Sony Pictures, South Pacific Pictures, TAC, Touchstone Pictures, Tattersalls, Tattslotto, Twentieth Century Fox Film Corporation, Kraft Foods, Virgin, Vodafone, Warner Bros. Pictures, Warner Bros. Records, Warner Bros. Interactive Entertainment, White Sirens and “Where is”. From teaser campaigns to engagement with the product, consistency is everything. The language established with the customer can be extremely hard to maintain across platforms. Multi-talented individuals and well balanced teams are crucial to enable projects to achieve their full potential. Design without idea and data is as pointless as a conversation about nothing. Well, nothing actually makes for a good conversation but this is not the nothing I am talking about. I believe that design is not only a process but also an aesthetic reflection of a product’s pulse reflected in the now. Furthermore I see user experience design as an interactive process that derives sense out of data and content. I also believe that controlled third party input or user interviews are the best if not only way to take a design beyond the foreseeable. For me a crystal clear understanding of the product and the process are the keys to creating timelessness. I highly recommend visiting or joining the American Institute of Graphic Arts. It is one of the better organizations that I have come across that remains in flux with the state of design. It is also crucial to stay on top of the ever-changing digital design technologies. UI and UXD are the two areas of digital design I enjoy the most. 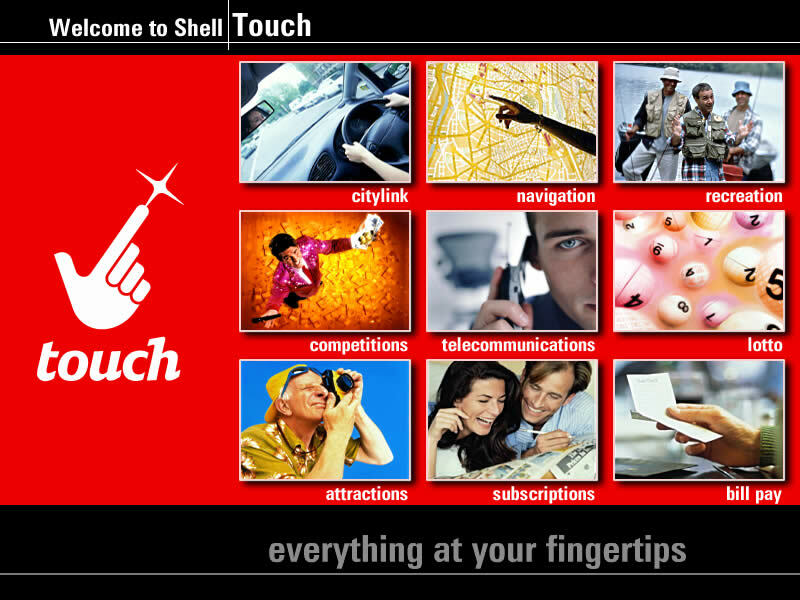 Over the years I've worked on many products: virtual instrument, games, HUDs, apps, installations, websites… The product I am the most proud of is the one I did for Shell / Touch Corp. Extra so because my design remained in use for over six years. This may be because the design is friendly, modular and data driven, making it easily reconfigurable without sacrificing any functionality. But most likely because the ongoing after launch support to maximize it’s success over and over again. I also enjoy working on more adventurous UI designs. The menus on the left are from a design for Lisa Gerrard’s website. There are always technical limitations but it is these limitations that can take an idea to unexpected places. In this particular case, the animated menu memory footprint was limited to fifty KB and tied to a Java music player. These limitations pushed me into object orientated programming, which forever changed the way I think about code. I was able to reuse the exact code for deadcandance.com and many other projects. Similarly I also like working with vector graphics. Their scalability, programmability and minimal memory footprint make them perfect for multi resolution interface design. Regrettably, even with all the amazing input devices in use today, most navigation systems consist of up, down and back text or image buttons. A few things I would like to see paid more attention to in design are subtlety and continuation of the established direction. With many products, the advertisement or announcement images or packaging are the first points of contact for the consumer. As such, all visual elements should flow from and expand upon these. 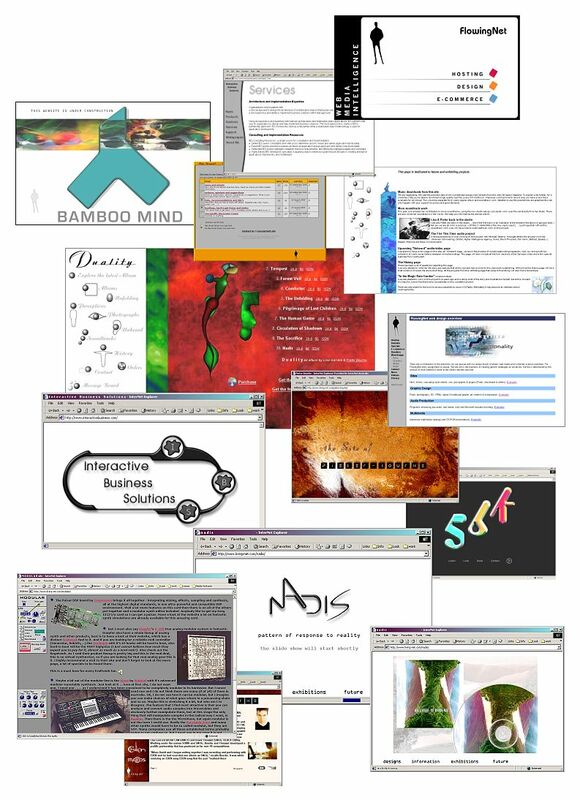 A well conceived art and information flow are the preparation for the journey that the customer is about to take. Similarly the UI is also the first place that users experiences sound, thus becoming a bridge between the visual and the auditory. These and many other aspects are parts that should always work together to maintain a coherent and compelling product in the market. Yes marketing and design are some of the things that keep me awake at night! Stretching my imagination into print is something I enjoy immensely. With modern printing techniques, metallic, varnish layering and 3D. Packaging and textiles are moving into uncharted territories. Print on demand is also an ever-growing area; it is all changing and getting redefined and reinvented on a regular basses. Over the years I have worked in many areas of art design, but the work I am the most proud of is the work I did with Lisa Gerrard. In this regard I think I may be the only person that has recorded, engineered, mastered and designed the artwork in the same project. It is an incredible privilege to see the work unfold in a myriad of exciting directions. I remember getting visual ideas as I was recording or mastering. Fittingly, the cover artwork on the collaboration CD - Duality - is comprised of two of my paintings (one in oils, the other in acrylics). Matching artwork to music is one of my favorite endeavours. In my experience I have noticed that most organizations rely on design to communicate who they are, what they do and what matters. It is often difficult to successfully convey all these notions. A collaborative team environment is essential to arriving at a concept that is both multifaceted and coherent. Factors that are often overlooked are the intelligence of the users and the power of mystery. Today, design is more complex then ever; globalization is the norm, micromarketing, targeted brand expansions, cross-media seriality are but a few of many aspect that need to be take in account and most of all work in unison within a clearly defined creative vision. They are everywhere, mostly using digital displays, projection and similar techniques, which allow animations and time scheduled advertisement rotations. In many cases there present a few obstacles; It is not always easy to translate a 10 or 30 seconds advertisement into a 2-5 second digital billboard, but it is still possible to arrive at a poignant, outstanding and memorable result, without defaulting to a static image. Digital billboards are and exciting area for design, marketing and public media. With the displays and projections technologies developing in an explosive upwards spiral, digital billboards are a media with a very bright future ahead. I am an experienced texture artist. I made my first basic texture in Deluxe Paint for Sculpt 3D (Amiga). Texturing and rendering techniques change rapidly and I always enjoy experimenting with new ways to make things look interesting and render faster. I enjoy making my own textures from photographs I have taken and from time to time I code a procedural texture. Capturing images is more than an art form. Human faces, hand gestures and body mannerisms are so wonderfully complex, even the best photographers and filmmakers struggle to capture a small portion of this visual universe. But as digital video, projection and VR technologies are developing and become intelligent. 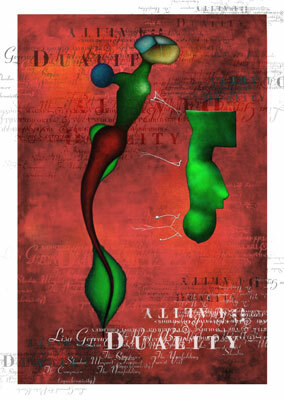 Visual media are not only capturing but also transforming our word. Pictures break all language and cultural barriers and there is no substitute for a memorable image. The right image can elevate an idea into a powerful icon. 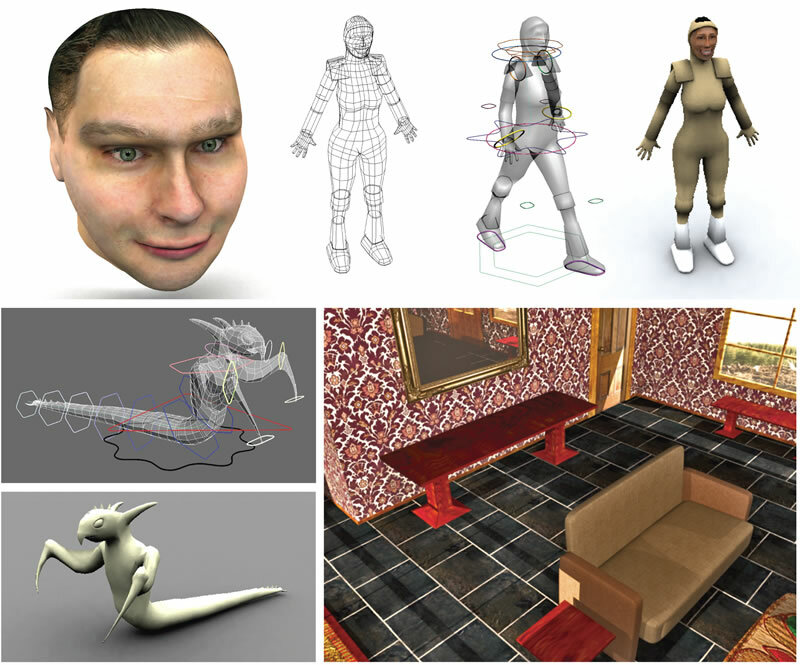 I am proficient in various 3D applications and procedures; including concepting, storyboarding, modeling, texturing, rigging, animating, lighting and rendering. I made my first digital animations using the Aegis Animator. Nowadays I primarily used 3DS Max, Maya or the game engine itself.